For a number of years now the global reinsurance market has been softening steadily, with rates and pricing now at levels thought almost as low as they can go. But still the largest players in the market are able to return excess capital, as seen with Swiss Re this morning. 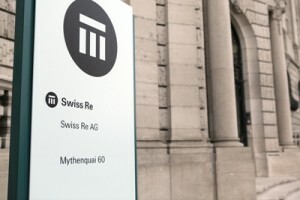 Swiss Re announced the start of its long-awaited CHF 1 billion share repurchase programme in its results release this morning, as it looks to return what it terms “excess capital”. This practice is a sign that reinsurance is still a very profitable business to be in, but also that opportunities are slim for companies with large balance-sheets to deploy excess capital at a profitable return rate. It shows that margin is still being made though, by the largest reinsurance firms in the market, even when results are gradually showing that profits have declined due to the softer pricing environment in most lines of business. Swiss Re’s results today reflect a large, well-organised business trying to find innovative ways to generate new capital deployment opportunities for itself. The earnings report consistently discusses the need for innovation and new product development, which really is the best route to profits for the larger global firms. But the fact that in a quarter when analysts at Deutsche Bank are now suggesting that on a normalised basis Swiss Re’s combined ratios are above 100, suggesting that profits are not as clearly available as they may seem at first glance, the reinsurer continues to report profitable returns on equity and an ability to distribute capital back to its shareholders only helps to underscore why reinsurance has such a strong attraction for investors. It’s a profitable business to be in, even when catastrophe losses increase, as we’ve seen in 2016 with Swiss Re, the company is generating so much cash that it needs to return some to its investors. This signals that there is excess profit margin available in many areas of the reinsurance market, even at a time when it is said to be almost as soft as ever before. Is returning capital, which reinsurers and insurers have been doing for a number of years now, one way they seek to reduce capacity in the marketplace to stop rates declining even further? If there’s capital available to return does it mean reinsurers are charging too much still, or does it mean that the traditional reinsurer business model which generates excess capital but struggles to then put it back to work is less efficient than an insurance-linked ILS investment fund model? Of course these are completely different beasts, the ILS fund model is to deploy all capacity, across a diverse portfolio to meet return requirements for investors. Reinsurers conversely can deploy capital at negative returns, just look at the practice of wielding diversification in European and Japanese market treaty renewals, where pricing is in some cases so low as to be at expected loss levels or have no real margin at all anymore. Swiss Re’s results this morning reflect worsening underwriting results during the third-quarter and first nine months of the year, with catastrophe and agricultural losses hitting the firm. But despite this the reinsurer has beaten all analysts consensus expectations for this set of results and by quite a margin. Reserves and investment income continue to enable reinsurers to report profitable results, even when the underlying is perhaps less impressive. The expense of running a large, global reinsurer is one cost that adds to the combined ratio, which clearly the other capital markets-backed business models in reinsurance are able to minimise significantly. But at the end of the day, Swiss Re’s $1.1175 billion of Q3 net profit was a huge 22% above the analysts expectations, contributing to $3.041 billion of profit year to date, an impressive result in the current market conditions by anyone’s measure. It’s a clear signal that reinsurance is still a very profitable and attractive sector to be in, that excess capital can be generated and that this means there may be excess profit margin in some lines that a more efficient business model could take advantage of. That’s not to say we condone more slashing of prices by capital market players, as a way to push the sector closer to the edge of profitability to squeeze as much business from the traditional players as possible. But it does suggest that hopes of price rises may be overdone, note the discussion of a number of CEO’s this quarter that they feel the old cycle will bounce back, when there is still excess margin and an ability to generate excess capital it suggests there is little reason for prices to rise in the near future. Of course when it comes to capital returns, the secret is in not having to do it in the first place. Yes, a share buy-back keeps shareholders happy. Yes, it can boost your share price (artificially of course, as this isn’t true liquidity in your stock). Yes, it’s a story that will get you headlines in the major financial press. But really, in a market where the buzzwords are innovation, new products, insurance technology (Insurtech) and closing the protection gap, it would be preferable to put this capital to work, rather than return it. It clearly cannot find anything to do with the capital currently, despite its significant efforts to innovate, embrace technology and narrow or close protection gap opportunities. It shows that the pressure is not going to be released any time soon, as until capital can be profitably put to work the returns will continue. And if profitable opportunities cannot be found, that enable capital to be deployed at a return that meets its targets, the excess could increase and that’s when we could see another concerted pull back from some of the more traditional lines of reinsurance business. While at the same time the ILS market sees excess profit in the margins, and stands ready to raise more capital and underwrite more of the traditional companies share. So is this a business model issue? Are there areas of re/insurance which are now better underwritten by an efficient, capital markets backed model and that traditional companies are never going to be able to see as profitable to underwrite again? It’s possible. The return of capital shows excess profit, but the results suggest difficult and perhaps worsening conditions still. The two don’t really stack up, but what they do show is why reinsurance is an attractive sector if you have capital which values the lower correlation of this asset class and an efficient model for deploying capacity. There appears to be an interesting conundrum developing. With traditional companies unable to underwrite certain business due to lack of margin, while heavily discounting other segments they really don’t want to leave. But still generating impressive profits from their specialisms and the large, tailored area of the market that enable them to return the capital that they struggle to deploy profitably. It almost doesn’t stack up. But therein lies the complexity of the reinsurance business model right now, and therein lies the signal to the capital markets that profitability remains, efficient business models matter and that reinsurance linked returns still look very attractive. While there’s a sign of profit margin to be made and evidence that the business continues to shift in favour of efficiency, the ILS market and its capital market investors are likely to maintain their attraction to reinsurance and look to grow their share of the market. For traditional companies, the way Swiss Re is shifting towards innovation, product development, trying to create demand in uninsured risks or areas and a focus on maximising the profits from its intellectual capital (expertise and specialism) are key. As too is a recognition, as Swiss Re made previously, that even traditional companies are going to have to break down the value-chain in order to extract greater profit from the risk transfer transaction.